- Blake Patterson at Byte Cellar. Blake is co-founder of the excellent iPhone gaming blog, Touch Arcade. Check out my interview with Blake, too. Posted by davelawrence8 at 7:36 am on May 12th, 2009. No comments... » Categories: blogs, ipod/iphone. Tags: blake patterson, byte cellar, game, gaming, iphone, ipod touch, newton, PDA. Subscribe via RSS. The iPhone has been keeping Blake Paterson busy. His thumbs are busy, too, trying out all those new iPhone games for his blog project in collaboration with Macrumors’ Arnold Kim – Touch Arcade. Posted by davelawrence8 at 4:27 am on August 11th, 2008. 6 comments... » Categories: community, games, ipod/iphone. Tags: apple II, blake, blakespot, byte cellar, game, gaming, iphone 3g, ipod, macrumors, multitouch, newton, touch arcade. Subscribe via RSS. Whatever the platform, whatever the year, you can always count on a Tetris clone to help you waste time. The same is true for the Newton MessagePad. 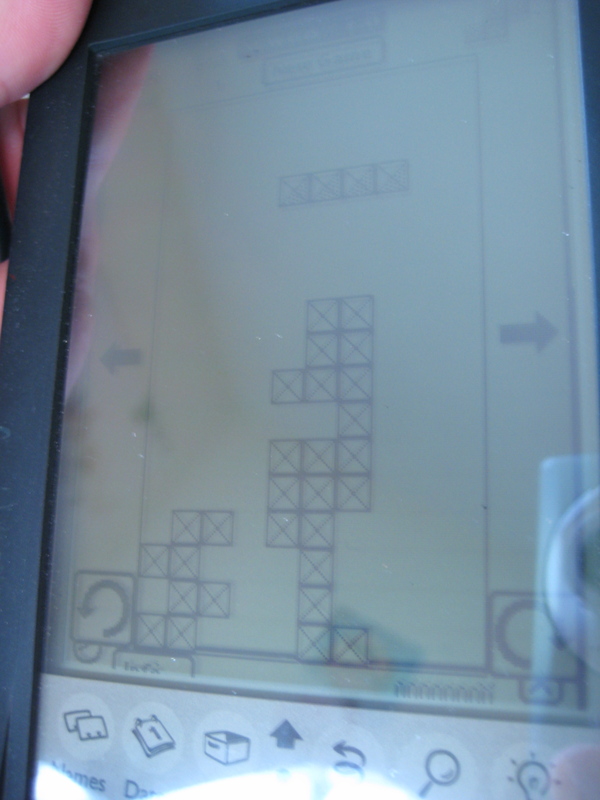 Here, we have Newtris, the falling-block (or “tetromino“) puzzle game, but with a Newton twist. Since there is no d-pad or buttons, you use the stylus and the Newton’s touch-sensitive screen to guide the falling blocks. Along the left and right of the game screen (above) are arrows that, when you point at them with the stylus, nudge the blocks that way. Want to rotate the blocks clockwise or counterclockwise? Use your stylus and select the twisted arrows. And if you want the blocks to fall faster, simply press the bottom of the screen. Pretty simple. I found that Newtris was a bit slow on my MessagePad 110. 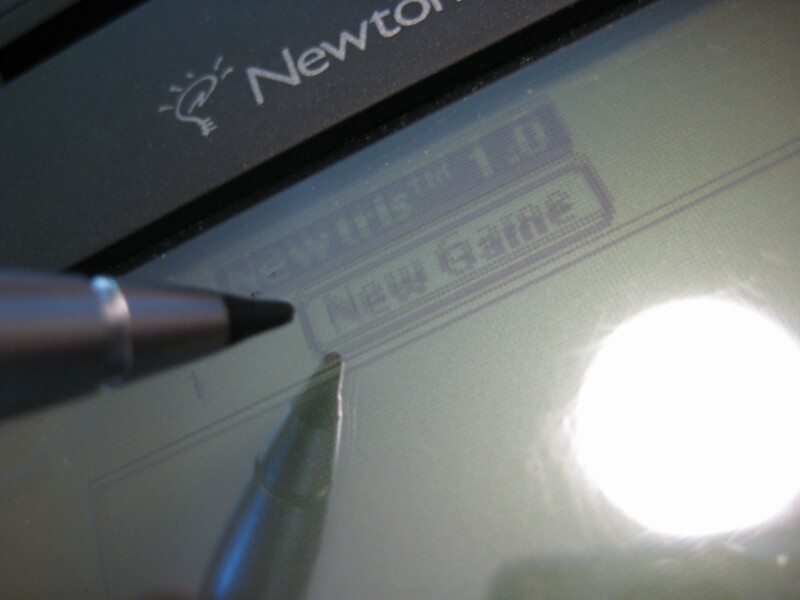 There are newer versions available (something called “Super Newtris” can be had for $15, which seems like madness), but my Newton OS 1.3 can only handle the older games. With the decrease in speed, it’s hard to play Tetris/Newtris: the excitement of rapidly falling blocks is gone. But Newtris is still a handy time-waster, and a good example of how – no matter how old or new the system – the classic games are still fun. You can download a free version of Newtris at UNNA.org. Posted by davelawrence8 at 7:50 am on July 28th, 2008. No comments... » Categories: games, newton, software. Tags: apple, game, messagepad, newton, newtris, puzzle, tetris, tetromino, video game. Subscribe via RSS. Play Newton Bingo for Macworld keynote. Now here’s a version of BINGO your grandma might not get. 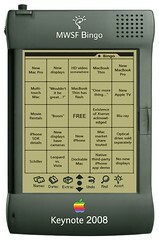 Ars Technica is hosting a Macworld 2008 keynote bingo game – with a Newton MessagePad card. New Mac Pro – A new Mac Pro. I’m going to buy one of these (assuming they contain 45nm CPUs), so they damn well better be introduced. New displays – New Apple external displays. I have grave doubts about this one (see later square), but the existing line desperately needs updating. MacBook Thin – A new subnotebook from Apple, regardless of its actual branding or product name. What’s a subnotebook? Use your own judgement. The only restriction I’ll add is that it must have a hardware keyboard. “Boom” – Steve Jobs says the word “boom” while demonstrating something. The site has posted the card as a download-able PDF file, so you can play along at home. But what – no Newton 2 spot? Posted by davelawrence8 at 6:17 pm on January 7th, 2008. No comments... » Categories: rumors. 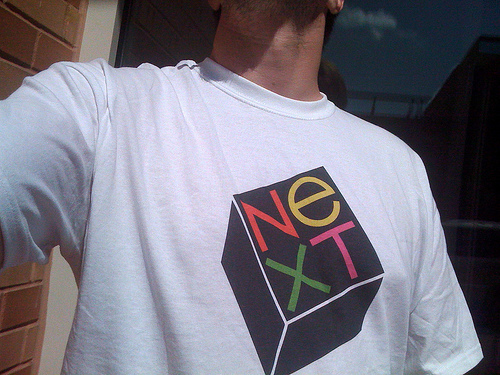 Tags: apple, bingo, expo, game, iphone, ipod, jobs, keynote, mac, macworld, messagepad, newton, steve, steve jobs. Subscribe via RSS.